Hiking gear is really essential if you’re planning to have a good time outside with your friends. Although most of the hiking boots for women that we reviewed are already great and probably 2/3 of them are waterproof, if you plan on doing some hiking which is a little bit more extreme than you might want to keep on reading and see the best waterproof women’s hiking socks and get informed on how to keep your feet wet. Lots of bacteria that lives in the water could cause negative effect on your trip as well as the overall feel of the whole trip, so continue reading and we promise to find a great pair of waterproof socks that will keep your feet warm and healthy throughout your whole journey. These socks are so durable you will definitely get your money's worth out of them. Considering they offer really great water resistance, you will be happy with your purchase. There is not much of a variety in terms of colors. Truthfully these do not have the best design, but they do offer amazing water resistance as mentioned before, and you will be wearing them with boots on top. 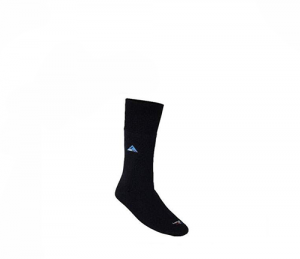 A fantastic pair of socks that will keep your feet dry in extreme conditions. These socks will literally keep your feet dry if you dip them in a bucket of water with no shoes on. Sealskinz is probably the top company when it comes to waterproof socks. This model's best feature is that it's stretchable, making it the perfect choice for people that need a pair of socks and aren't sure of their size. These Sealskinz waterproof socks don't have a lot of downsides, but the truth is that heat retention is a bit compromised because of the stretchable fabric. The perfect choice if you need a pair of socks, but you need them ASAP. This is one of the few models that is going to fit even if you pick a size smaller. These socks will work wonders to keep your feet warm. They also have the seems underneat and not on the sides, which prevents blisters. They also offer good durability and at a great price. There are some instances in which these socks might get a bit wet. They do offer great water resistance and will keep your feet warm for long, but when exposed to too much water, they wouldn't be the best choice. A fantastic choice at this price point. 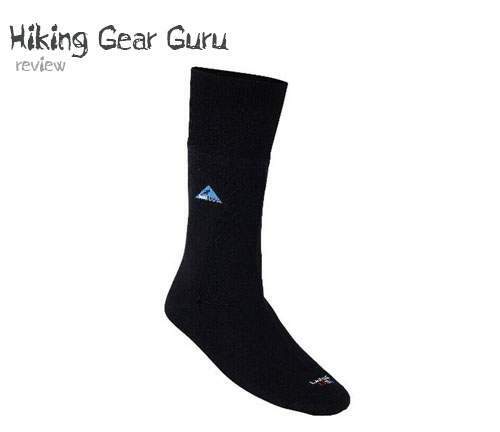 These socks are a wonderful choice, especially if you do day-trekking and trail running. If you'll be doing hiking in snow or in rivers, a pair of fully-waterproof boots is a must have. These are wonderful if you are looking for thin socks that will feel like second skin. They also offer fantastic water resistance that can withstand submergence. Being super thin, you could expect that these socks won't be offering a lot of thermal protection at all. They are not amazing in terms of breathability either. Great socks if you'll be using them in hotter weather. They aren't breathable, so they will keep sweat inside, but they'll work way better in hot weather rather then in the cold, where they offer almost no warmth. The brands that we’ve reviewed offer some really good products, but they are not priced as low as a normal pair of socks. This being said these products are well worth their price and without further ado, we’ll get into their reviews. 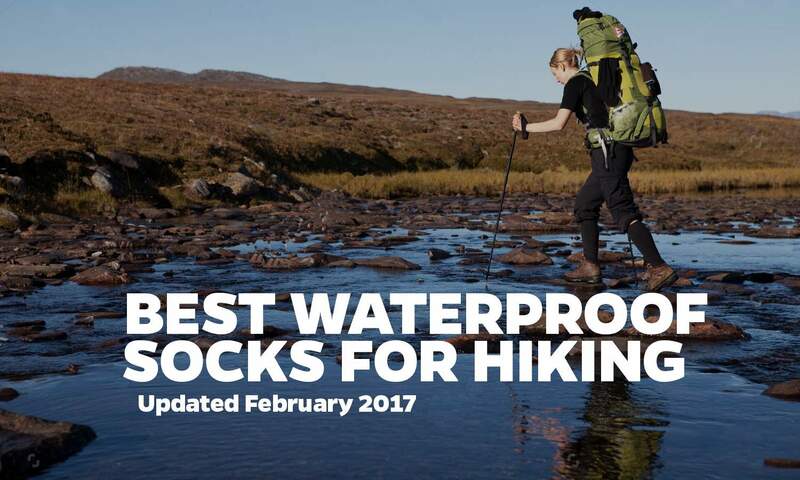 These features are all great and you can expect the socks to withstand water and keep your feet dry, but they are not magical. They wouldn’t really work well if you decide to go rafting with them or to start swimming with them. If you do decide to wear them with boots that are not water proof though, with breathing vents, they will do just fine. Their 4 star rating (out of 5) means that you can expect really good quality of this product. We did decide not to get any more into the Hanz All-Season Mid-calf sock, but if you do want to read some more or simply order them you can do so by following this link. Stretch-to-fit. Seamless design provides the ultimate in performance and comfort. A fantastic bargain if you think about it these would keep your feet warm and would save you the awful inconvenience of having your feet freeze during a hike. It will never hurt to have an extra pair of socks in your backpack and you’ll never trust just one pair of socks to last you throughout an entire trip without a problem, but if you own a pair of these, you just won’t need another one for sure. Their rating is 4.8 out of 5, which should be a good enough statement of the product’s quality. 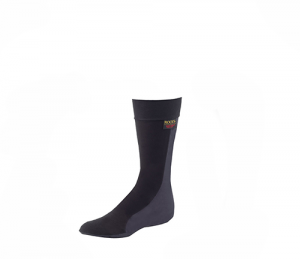 There is a lot more information that you can get on the Sealskinz Waterproof Crew Sock Blk-lg 21094 page. Shake it out once and it’s dry technology making them simply irreplaceable. 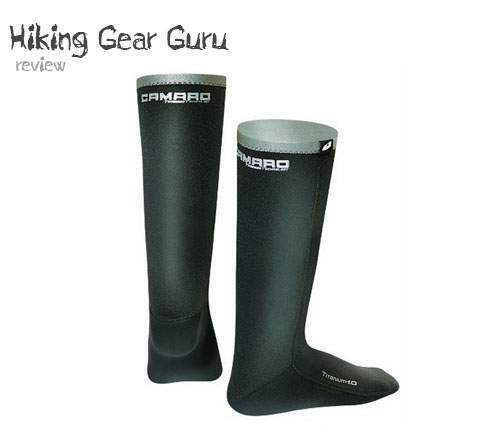 If you’re planning on going on the hiking trails where waterproof socks are an absolute necessity, a pair of these Camaros will work really well and the fact that they are so long, is just another thing in our pro’s list. The only downside of these is that they do not let your feet breathe as much as the other two models, because of the material they are made out of. They might trap some sweat inside, but won’t let any water to come from the outside. 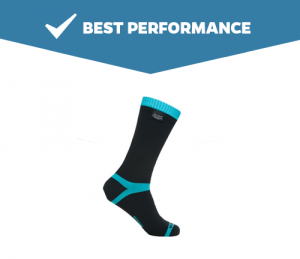 Our recommendation for these socks would be to buy a pair which is one size smaller than the size of the boots you usually wear, because this will make sure that they are tight on your feet and not loose, preventing the water to come in. They do fit over regular socks to prevent them of getting wet as well, so you could try that too! 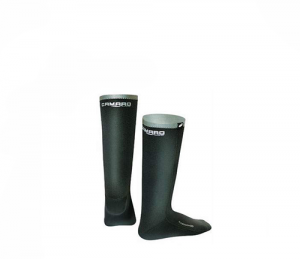 Find out what else you could do with these as well as where you could buy a pair of the CAMARO Titanium 1mm Waterproof Thermo Long Socks. I purchased these for a hike with friends up the Virgin River in Zion Utah in October. They worked great. The fit was good and neoprene kept my feet really warm during our four hour hike up the narrows. 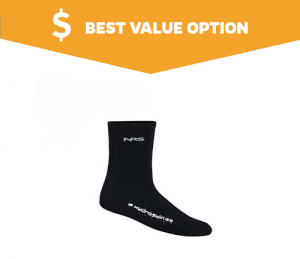 There are more reviews that could give you lots of more info about this particular product if you want to know more about them, by following this link – HydroSkin G3 Socks by NRS. 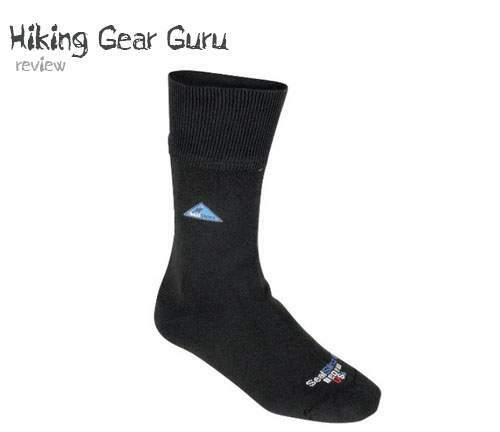 We hope that this review of the best waterproof socks for hiking would have been enough to make you pick one of them and if not, there are plenty of other models that you can chose from if you browse the links above.